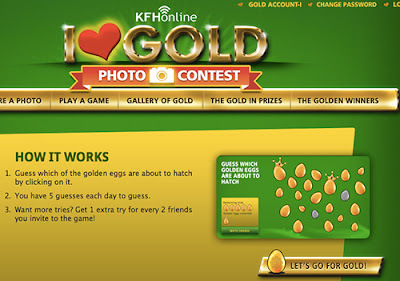 Take a photo of yourself with the message "I love Gold #KFHonline"
Guess which of the golden eggs are about the hatch. Visit KFH Online website for more details. wow! MBP and 10k prize are really tempting wei!